One of the greatest blessings and healers in my life has been gratitude. I understand that when you are grateful for what you have, and who you are at this very moment in time, it opens your life up for more blessings. I now have the tool for you to express your gratitude daily. Write down at least 10 things that you’re grateful for throughout the day. You will start to see your perception change and your life more blessed. 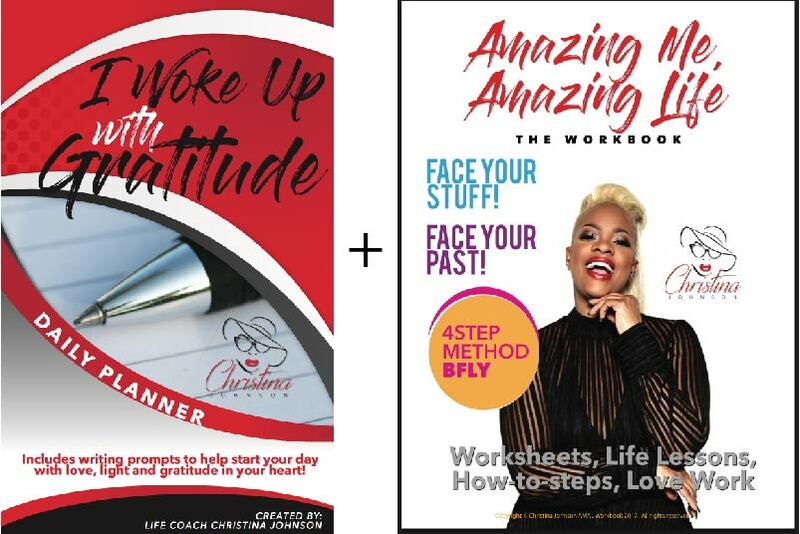 Doing the work to heal from heartbreak, heartache, forgiving your past, learning to love yourself and have a great quality of life is what this workbook is for. It was created to assist you in healing holistically. It helps you to keep track of the way that you eat, exercise, affirmations, and much more. I pray that it blesses you greatly.